Advantech 5FE Unmanaged Ethernet Switch, ATEX/C1D2/IECEx, -40~75? 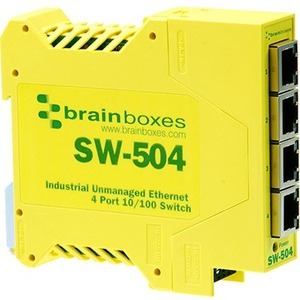 Industrial Ethernet 4 Port unmanaged switch. Galvanically Isolated Ports. Industrial temperature range of -40°C to +80°C (-40°F to 176°F) and dual input redundant power supply with wide voltage range means it can be powered from USB or on the 24V factory floor. Power terminal is removable with numbered pins for easy wiring. Power consumption is optimised based on the status of the link device. No software required. Ideal for factory floor, in vehicle and marine applications.